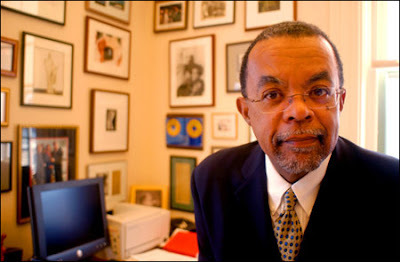 Harvard professor Henry Louis Gates Jr., one of the nation's pre-eminent African-American scholars, was arrested Thursday afternoon at his home by Cambridge police investigating a possible break-in. The incident raised concerns among some Harvard faculty that Gates was a victim of racial profiling. Police arrived at Gates’ Ware Street home near Harvard Square at 12:44 p.m. to question him. Gates, director of the W.E.B. Du Bois Institute for African and African American Research at Harvard, had locked himself out of his house and was trying to get inside. He was booked for disorderly conduct after “exhibiting loud and tumultuous behavior,” according to the Cambridge police log. Friends of Gates said he was already in his home when police arrived. He showed his driver’s license and Harvard identification card, but was handcuffed and taken into police custody for several hours last Thursday, they said. The arrest of such a prominent scholar under what some described as dubious circumstances shook some members of the black Harvard community. Counter, who had called Gates from the Nobel Institute in Sweden, where Counter is on sabbatical, said that Gates was “shaken” and “horrified” by his arrest. Counter has faced a similar situation himself. The well-known neuroscience professor, who is also black, was stopped by two Harvard police officers in 2004 after being mistaken for a robbery suspect as he crossed Harvard Yard. They threatened to arrest him when he could not produce identification. Cambridge police would not comment on the arrest, citing an investigation into the incident by Middlesex District Attorney Gerard T. Leone Jr. A spokesman for Leone said Gates is scheduled to be arraigned on Aug. 26 and said the office could not provide details on the arrest until that time. Friends said Gates is being represented by Harvard Law School professor Charles Ogletree, who has taken on previous cases with racial implications. I gets the feeling there's gonna be hell to pay.